Two SNP MPs have criticised the UK Government’s lackadaisical attitude towards waste and recycling policy, as the UK today formally started the process of leaving the European Union. 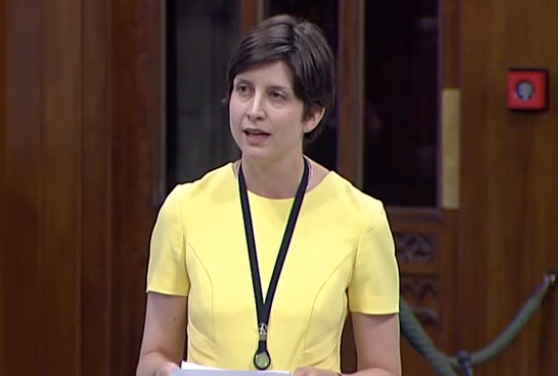 SNP duo, Alison Thewliss and Calum Kerr have rounded on Tory Ministers, following a letter from Secretary of State, Sajid Javid. They say the Government was left “floundering” to explain which policies UK Councils will be expected to implement regarding waste and recycling after Britain leaves the EU. “All 400 Councils across these islands have been working hard over many years to reduce waste and ensure that we send as little as possible to landfill. This has been good for our environment, and has transformed the way we deal with our resources. Our current EU membership provides local councils with clear guidance when it comes to important waste and recycling policies, yet all of this could soon be thrown on the Great Repeal Bill bonfire. “Not for the first time, the rubbish response from the Secretary of State shows that this Government is absolutely floundering when it comes to the real detail of Brexit. Ministers obviously don’t have a clue what Councils will be asked to do, which has an impact on the decisions local authorities are making now about future investment in waste and recycling services. “At the moment, the UK generates over 200 million tonnes of waste every year and we need to be doing more – much more – to reduce that figure if we’re to leave a better environment for the generations to come after us. Local authorities need more detail so they can plan for the future, not the usual recycled Brexit soundbites from the UK Government. “Across all departments and at all levels of government, Brexit is sowing confusion. We recently learned from DEFRA that their long awaited 25 year plan for the environment has been shelved until after the UK leaves the EU. Yet a long-term strategic vision on environmental issues is more vital than ever. “The EU has led the way in promoting the circular economy and setting ambitious waste reduction targets. This isn’t just red-tape: we know that prior to joining the ECC, Britain was known as the “dirty man of Europe”; there can be no return to that state of affairs.